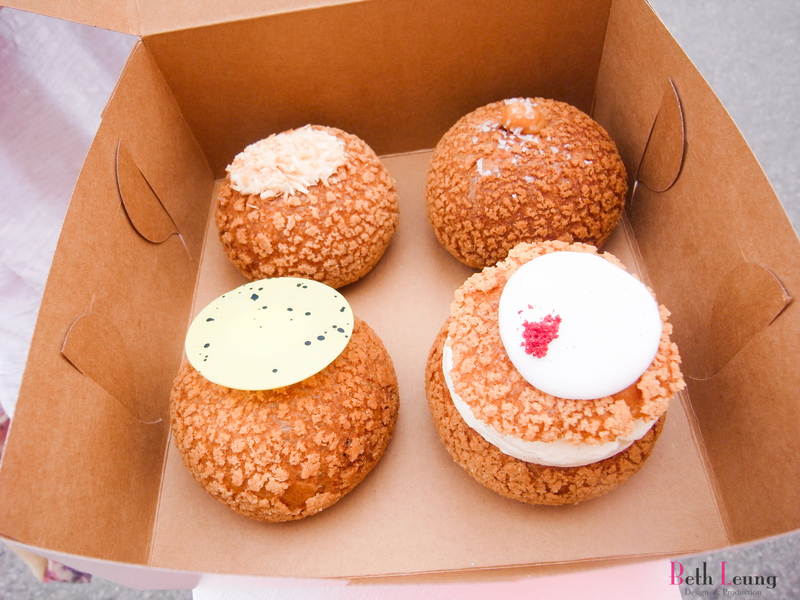 I had been meaning to go get these delicious cream puffs (perhaps their chocolate? ), but somehow I always ended up not going or they are not open. Finally one a day off, I decided to finally venture this place. From the directions from a friend, I really didn’t know about this area. Full of industrial warehouses, Beta 5 is one of the small warehouses within. They do not have seating, I strongly suggest just buying take out and enjoy it at a park with a nice cup of coffee or tea. Coconut Passionfruit – I never though these two flavours would work so perfectly with each other with over powering each other. I am very impressed by this one. Raspberry Earl Grey – I can taste the raspberry, but not sure where is the Earl Grey? Vietnamese Coffee – smooth delicious coffee flavour, with a hint of vanilla. This is a must try for a lot of coffee lovers.